LOVE LOVE LOVE THEM. I Love these because I am able to keep them on my Christmas Tree year after year. Just because ALL of our family is not able to be with us for real each year, we ALWAYS have them with us. 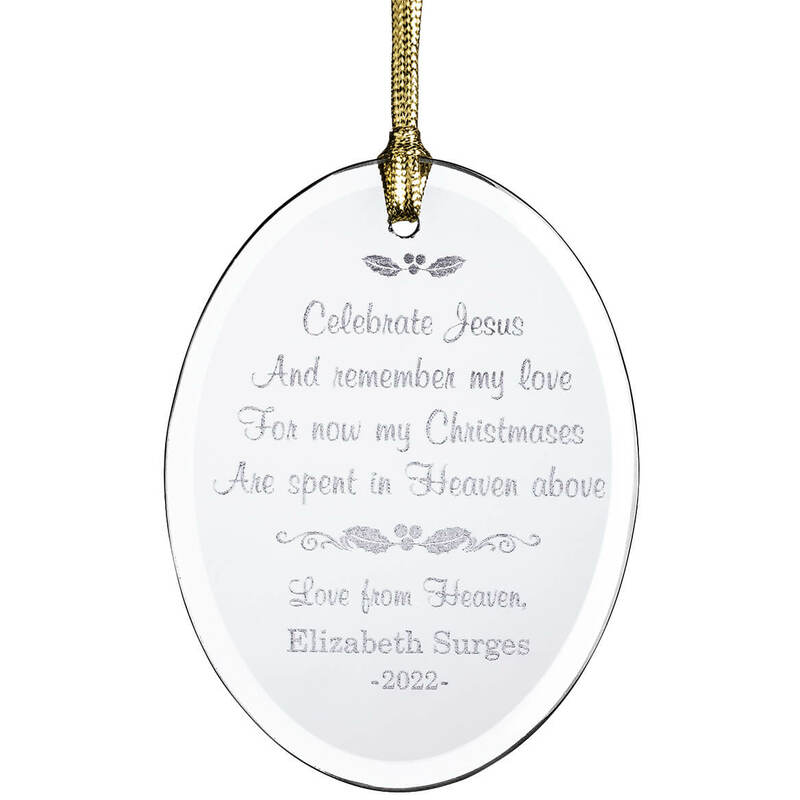 These are a great way to show everyone they are ALWAYS in our thoughts & hearts. Also a great way to mark & remember each year. I always have the year on them as part of the personalization. 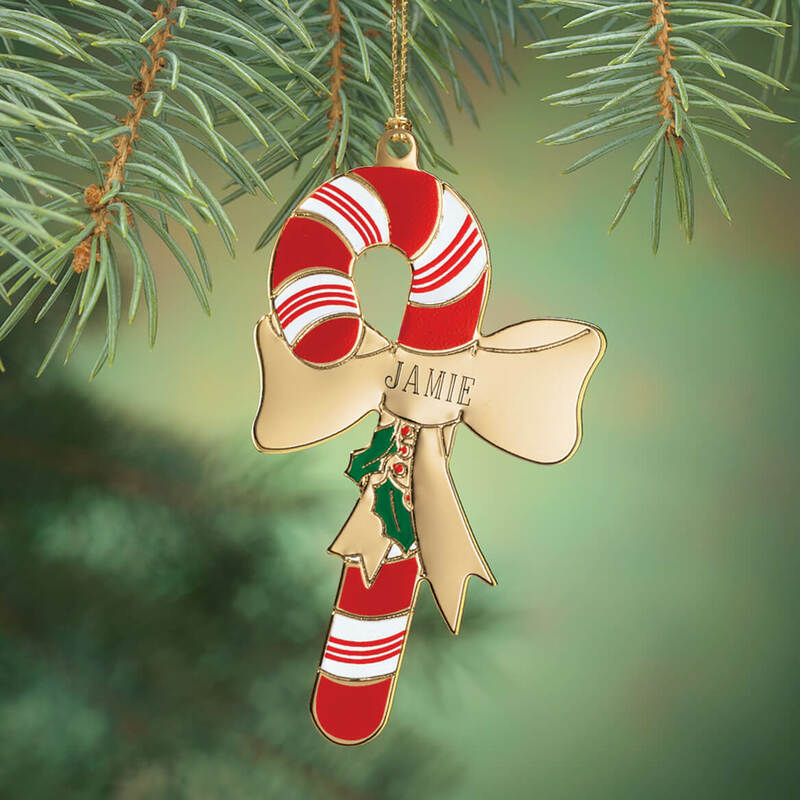 This ornament was perfect for my daughter, as growing up I couldn't get her to stop eating the candy canes off the tree. The candy cane ornaments are absolutely beautiful!!! More than I thought they would be. Great stocking stuffers for my grandchildren for a reasonable price! I began giving my Godchildren brass ornaments for Christmas as soon as they were born. 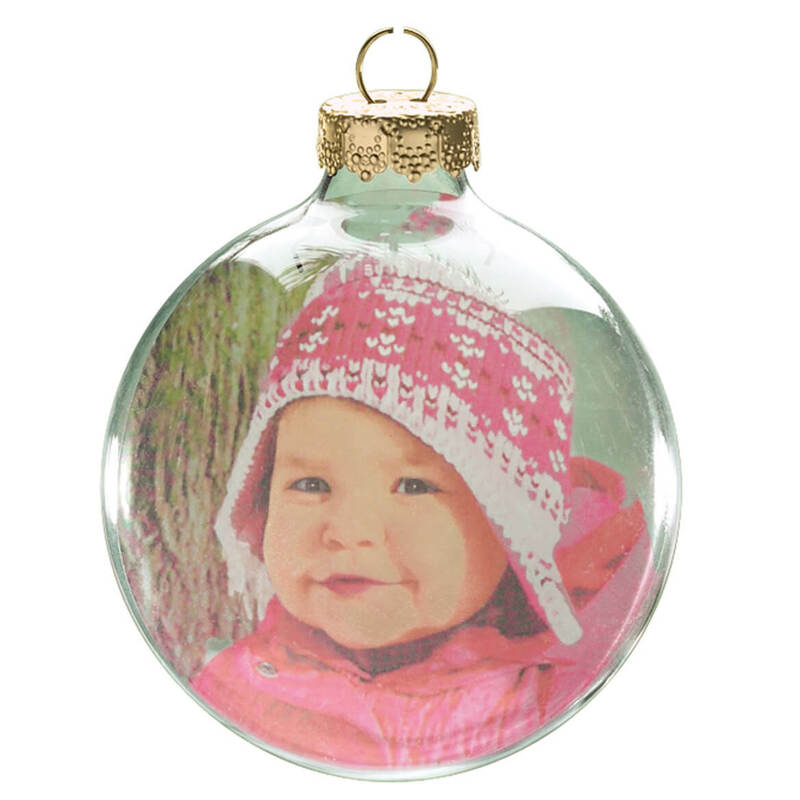 The ornaments are no longer carried in local stores and are becoming harder to find. Miles Kimball has a great selection and helps us continue our family tradition. Cute ornament for the Christmas tree. I love that I was able to personalize it for a dear friend. My grandchildren just loved it and now they can have their own ornament on the tree for years to come. Granddaughters Loved this candy cane. I gave each granddaughter one of these with her name and the year 2010 on it. They were all very happy to hang it on their family Christmas tree. It sparkles with the lights of the tree and the red is so festive. They were nice. I bought five. It was missing from my package package. It did get replaced Along with 2 other missing items. It is very pretty but small. I bought these brass candy cane ornaments as gifts for children who live far away. They are easy to buy and ship. They work equally well for boys and girls. Just as pictured. Very nice size. Engraving was perfect!!! I love the colors of the ornament, but the engraving was smaller than I thought it would be so it is hard to read. Fun and personalized. Comes with a card telling of the legend of the cane cane. that is the only thing I was dissapointed in. I had to put on reading glasses and use a magnafying glass to read the name. It is nothing like shown. The photo shows the name in black, it is not!!! It is engraved,no color like shown. Hope they will let me exchange for something I will not be embarressed to give as a gift. The engraving is so small it is illegible. there is no color to the engraving as well. I had to sharpie the name on in order to read it. 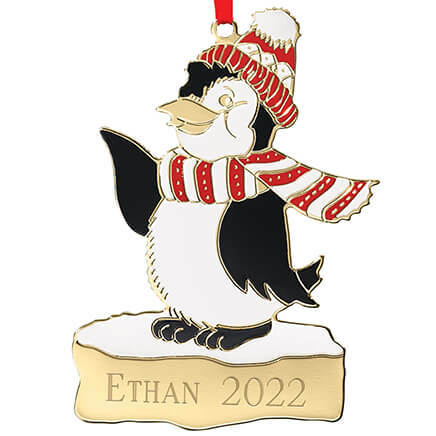 I bought 2 of these one for my son in the Army and 1 for his engaged girlfriend hers was fine and his had a large scratch going thru his name I called on Dec 11th they said they would replace ornament and it shipped on Dec 11th the problem I never received it I called Dec 29th they gave me the address they shipped it to, it wasn't my address, they had shipped it to another house. So I never got it. So very disappointed Ms. Mindy said it was nothing else they could do. It's perfect for my kids and grandkids. I love the legend of the candy cane! It is a story I share with my kids every Christmas. 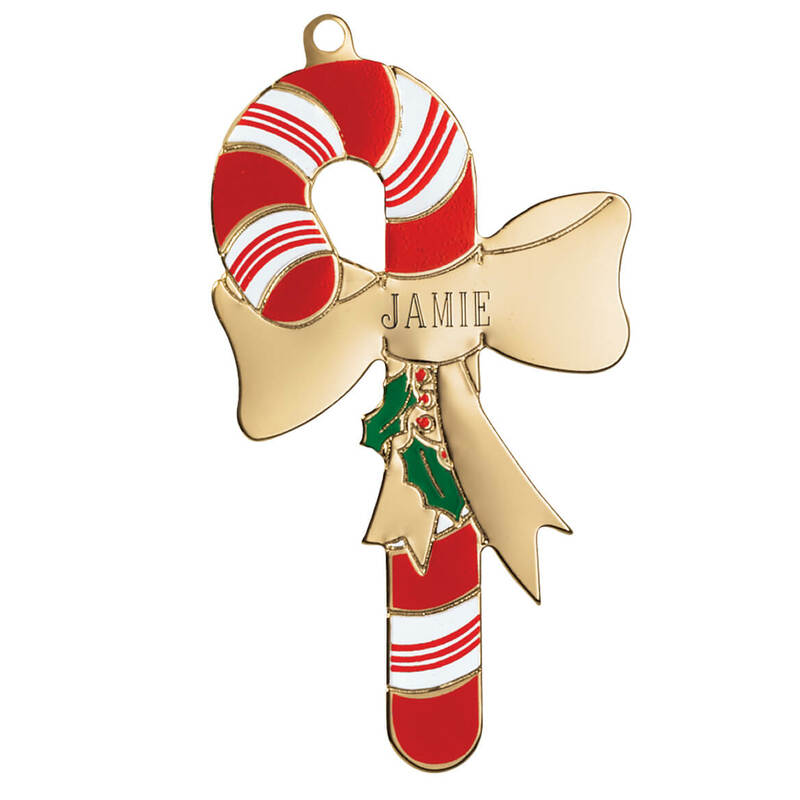 I also remember as a child I received a brass personalized ornament for Christmas every year with my name and year on it. They hang on my tree now and I enjoy the memories I have unpacking them each year. I want my children to experience that, last year I purchased the present ornament and hope there is a new one added for next year. I picked this because of the story behind it. I also think it is cute! My grandson likes the Legend of the Candy Cane. I want members of my family to know the legend of the candy cane. I love candy cane ornaments. I love the meaning of the legend of the Candy Cane. I am sharing this legend and ornament with my nieces and nephew. Name and year.....to document which Christmas his meme gave him this ornament. I started a Christmas tree for our parents with the family names. Each has turned into quite a pretty tree. I add candy canes every year for a new birth or new family member after getting married. I have over 50 candy canes on my side and about 35 on my husband's parents tree. I might have to invest in a bigger tree for my parents!!! Both sets of parents loved the family tree they got and I keep giving as the family grows each year. For the grandkids I buy ornaments every year. Family tradition to buy my son an engraved ornament every year. Well I thought it was different. Just a little tradition I've done for years giving nieces and nephews ornaments. this is a cute and on sale! It's cute & a perfect Christmas stocking stuffer! Simple and only wanted our last name and year. I was looking for a pair of ornaments for my son and is significant other. The canes seemed appropriate. I like the Candy Cane Legend and I think my grandsons will too. This is for a young boy who loves candy canes. My grandmother gave me a personalized ornament as a child - I still put it on my tree. So my husband has one just like my from birth on our first yr married christmas tree. I love these ornaments, my kids look for there own ornament and are excited to hang them on the tree every year!! It's a nice ornament that represents the legend of the Candy Cane. 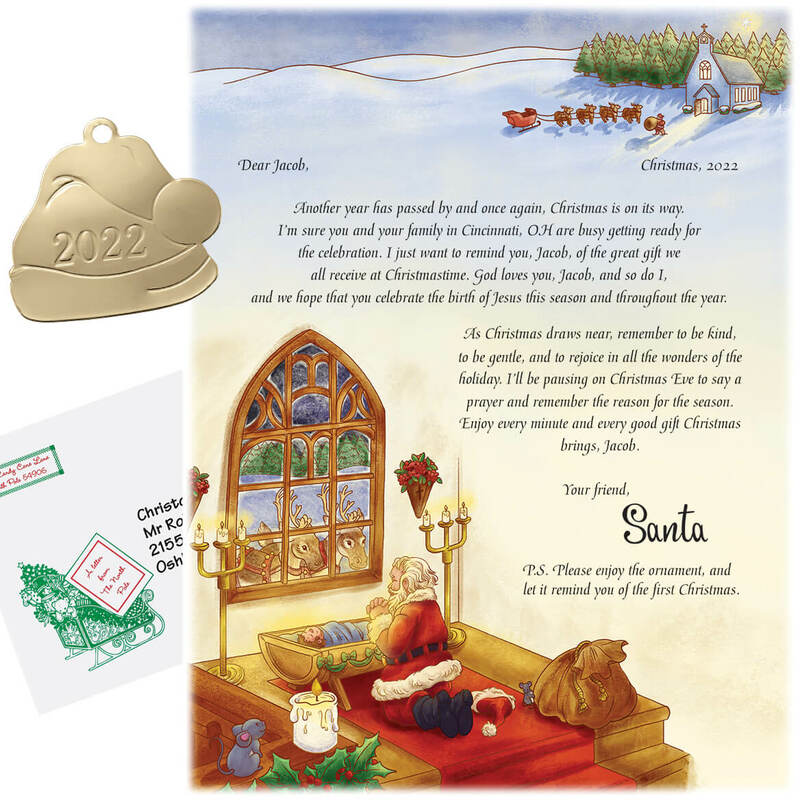 It's cute, classy, personalized, a nice price & shows thoughtfulness. High quality ornaments. My mother always purchased for grandchildren from Miles... I am carrying on the tradition. what is the thickness of the ornament? BEST ANSWER: It"s made of metal, and is just about the thickness you would expect it to be. It would look good on your tree., and It comes with a card explaining the significant history of the candy cane. Hi, I'm really sorry, but I don't remember the thickness exactly, but it didn't feel flimsy. It was a long time ago, but I think it's a flat ornament if I remember correctly.